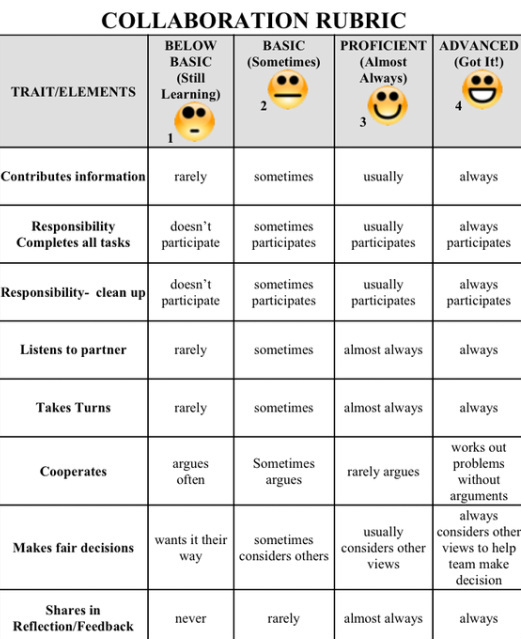 I started out using both the Teamwork Rubric and the Presentation Rubric from the ﻿Buck Institute for Education﻿. These can be found on pgs. 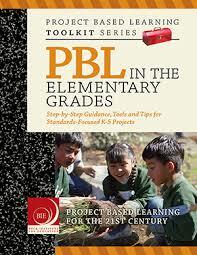 133 and 135 in the Project Based Learning Toolkit Series - PBL in the Elementary Grades. Then my co-worker and I decided to do a more detailed Collaboration rubric which Martha McCoy then further modified. The result is below and credit goes to Buck Institute, as well, for the original idea to use different levels of smiley face graphics. By Gigi Ronayne and Kathy Moorehead and edited by Martha McCoy for Napa Learns. Teachers working in the Project Based Learning method of instruction may also choose to generate their own rubrics particular to their units. Rubistar is an online, free (teachers love free!) rubric generator that is easy to use. Please feel free to use and share these rubrics, but be sure to give attribution to me as the author of the rubrics, even if you modify them.